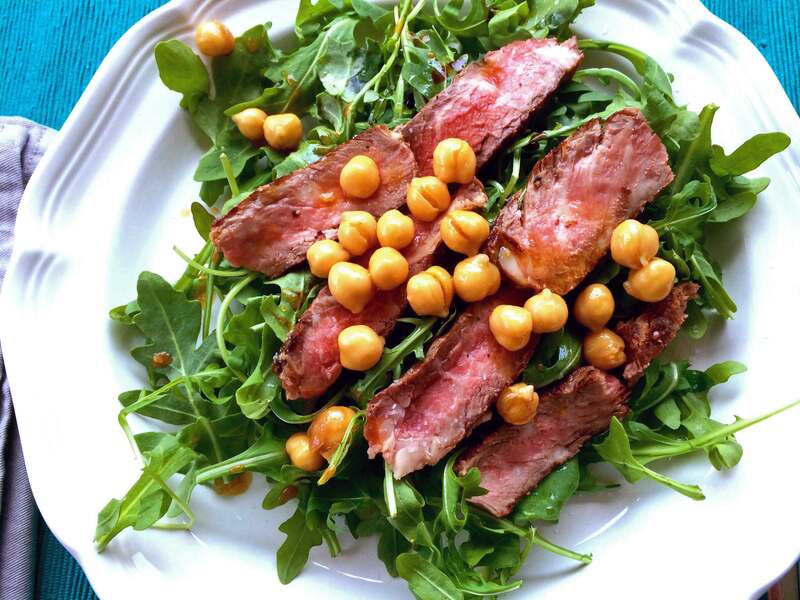 I made a quick lunch today from leftover ribeye steak and chickpeas. I dressed the arugula with a touch of good balsamic vinegar, extra virgin olive oil, and salt. Topped it with lightly salted, thinly sliced leftover steak and a few chickpeas that were also tossed separately with some of the oil and vinegar. Served with a couple of slices of ciabatta.